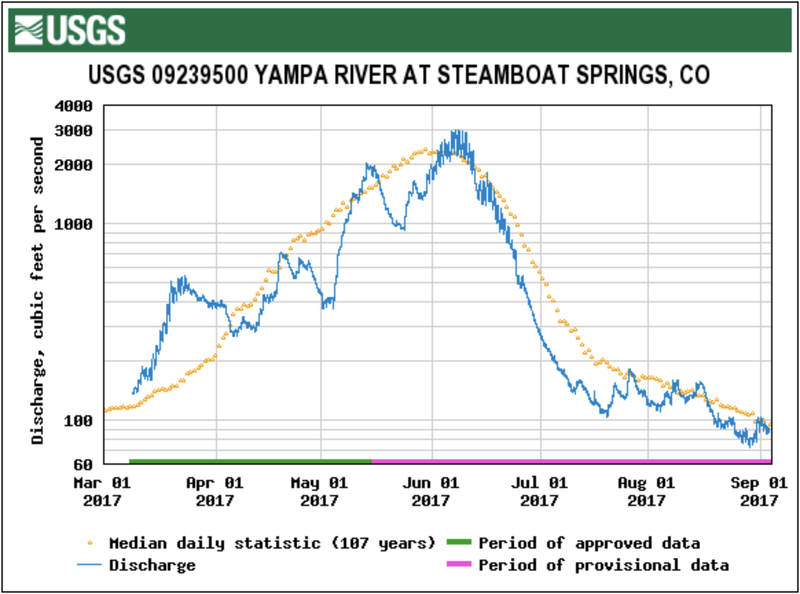 Yampa River at Steamboat Springs gage March 1 through September 4, 2017. The city and the Colorado Water Trust had been collaborating since earlier this summer on boosting the flows in the Yampa with water procured from the Upper Yampa Water Conservation District’s Stagecoach Reservoir, and that effort will resume. The USGS reported at midday Friday that the Yampa was flowing at 97 cubic feet per second, just below median for the date. The lowest Sept. 1 river flow measured at the Fifth Street Bridge, was the 24 cfs, reported in 1934.